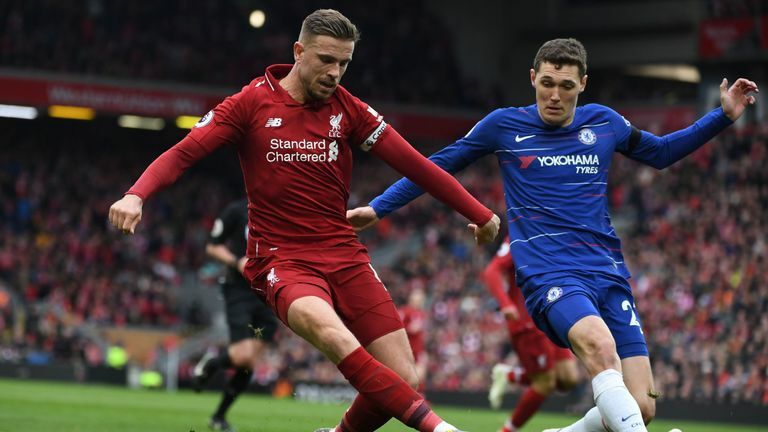 Jordan Henderson is revelling in his new role in Liverpool's midfield and was superb once more in the 2-0 win over Chelsea at Anfield on Sunday. Jurgen Klopp's decision to switch Henderson's position has given fresh impetus to Liverpool's title bid, writes Adam Bate. It was the loss of Jordan Henderson's energy in midfield that proved a key factor in Liverpool failing to find their way over the finishing line five years ago when he was suspended for that infamous game against Chelsea. 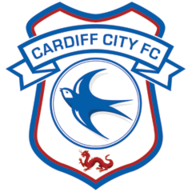 It is the rediscovery of Jordan Henderson as a box-to-box midfielder, brilliant against the Blues on Sunday, that could prove to be decisive in the Reds ending their now 29-year wait to win the title this time around. After producing an inspired cameo to help propel Liverpool to victory away to Southampton and then delivering another impressive performance against Porto, it was Henderson whose clever cross to the back post found Sadio Mane for the breakthrough goal just after half-time. The skipper walked away with a deserved man-of-the-match award. "He wanted to play in a more advanced role, there's another reason why," said Jamie Carragher of Henderson's cross on co-commentary for Sky Sports. "It's the Masters this weekend and he's just produced a golf shot. A sand wedge to the back post. 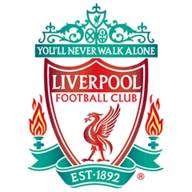 There is no doubt he has revitalised Liverpool in these past few weeks." 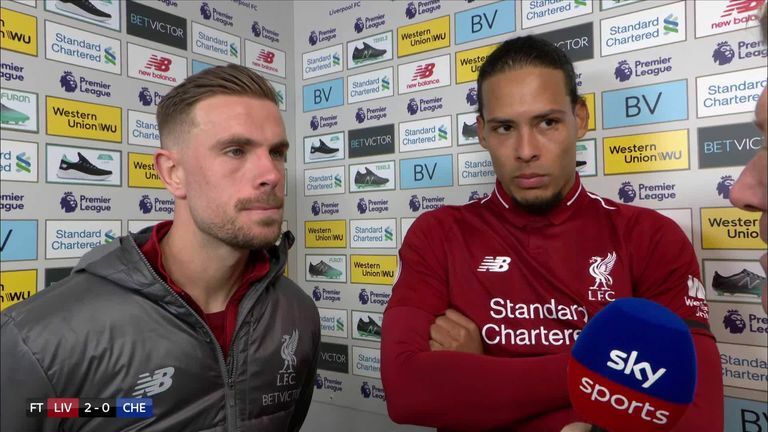 In the press conference after the Porto game, Jurgen Klopp issued a light-hearted apology for the belated decision to free Henderson of his defensive responsibilities and give him the opportunity further forwards. "It's my fault that he has played for one-and-a-half years as a number six," he said with a smile. "Sorry about that, but we needed him there." Klopp deserves credit for his flexibility, but it was Henderson who forced his hand through the quality of his performances. There was a clue when he came on for England in a more advanced role against Montenegro last month and promptly picked out Raheem Sterling with an inch-perfect through-ball. He seemed to take that momentum back to Melwood too. The realisation that Fabinho was beginning to establish himself as the first-choice holding midfielder will have added a sense of urgency to his thinking, but there is competition ahead of the Brazilian in those box-to-box midfield roles as well. Henderson has pushed himself to the front of the queue by making every minute that he has been given on the pitch count. His enthusiasm at St Mary's was impossible to miss, and the celebration of his late goal, bursting forward into the box, was laced with meaning. Against Porto, it was his measured pass that released Trent Alexander-Arnold to allow Roberto Firmino to double Liverpool's lead. He would have had an assist had Sadio Mane not been ruled offside in the second half. Klopp was joking when he apologised for his use of his captain in that deeper role over these past two seasons, and the manager can hardly be criticised for his team selections given the results. But it is tempting to wonder whether Henderson is a player who has been misunderstood. His greatest attributes are stifled when asked to hold his position. Brendan Rodgers once said that Henderson was "born with a natural gift to run", and it is apparent that he is still at his best when adopting that all-action approach. Harrying the opposition and being the man to instigate the press, that's what suits him. He has learned to be more tactically sophisticated, providing protection, but it means curtailing his instincts. On the right of a midfield three, he can still play a role defensively - covering for Alexander-Arnold when the full-back advances down the flank. But he can also get forward in those pockets of space himself and make use of the crossing ability that once saw him operate as a right-sided midfielder. Curiously, the role that currently exists in Liverpool's system and the one he is now playing, has always been his most natural position. "I don't think the manager had thought about it too much until I mentioned it to him," said Henderson of the conversation that sparked the recent shift. "I suppose when I spoke to the manager, it was that I do feel more natural in that position. I played there for a long time, I was sort of a box-to-box midfielder when the manager first came." The realisation that Henderson can play in advance of Fabinho took some time. The two men didn't start a game together until the win at Wolves just before Christmas. Prior to Porto, the only time they had started in midfield together at Anfield was in the win over Crystal Palace in January. Putting this option on the table is a game-changer for Klopp. Supporters had been pushing for it because they wanted Fabinho in the starting line-up, and understandably so given that the summer signing from Monaco has been superb in that holding role since the turn of the year. But the less discussed advantage of transferring that responsibility from Henderson to Fabinho is that the former has been unleashed - and at a time when Gini Wijnaldum looked in need of a rest. "I feel as though I can do that more in a further forward position," he had said even prior to his crucial intervention against Chelsea. He is showing that now, and if Liverpool do manage to win the title this season, one of the stories that folk will tell about the triumph is the tale of how their captain rediscovered himself in the run-in to help his side over the line.